Nintendo has announced its second quarter earnings for 2015, and the biggest takeaway is that 10.73m Wii U units have been sold - meaning it's finally moved past the Dreamcast's 10.6m total. Hooray. It's a small victory for the console which, to date, has only sold one tenth of the units that the Wii has (101m). 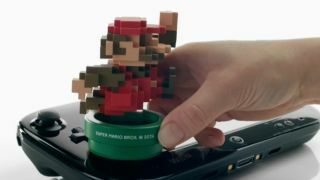 The hardware sales saw a rise from the last quarter, from 0.47m to 0.72m, and Nintendo says it's still on track to hit 3.4 million by the end of the year. More impressive are the software figures: 5.87m Mario Kart 8 copies have been shifted, over half the number of Wii U consoles, while Super Mario Bros Wii U has sold 4.88m. Meanwhile Super Mario Maker, which launched in September, has sold 1.88m already. These results are the first since Tastumi Kimishma became CEO of Nintendo, after Satoru Iwata passed away earlier this year. What happens over the next few months will be much more interesting. Nintendo is set to soon reveal its first mobile games under its partnership with Japanese mobile company DENA, while its next console, the NX, will break cover some time next year.